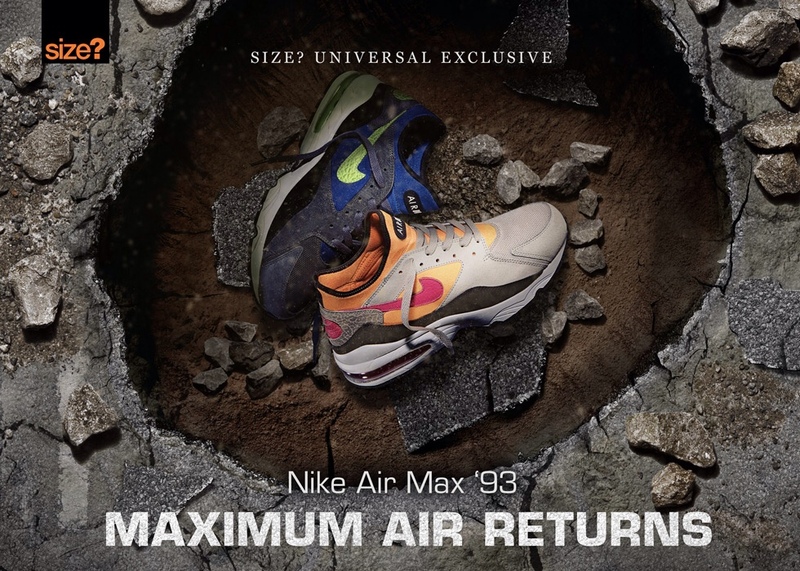 The Nike Air Max 93 will return this week as part of a size? exclusive, two decades after its original release. The Nike Air Max 93 will return this week as part of a size? exclusive, two decades after its original release. First previewed earlier in the week, the "Maximum Air" runner will arrive in Dark Grey / Lime / Royal and Mortar / Pink / Laser Orange colorways, each featuring premium suede and neoprene builds with cement print accents. 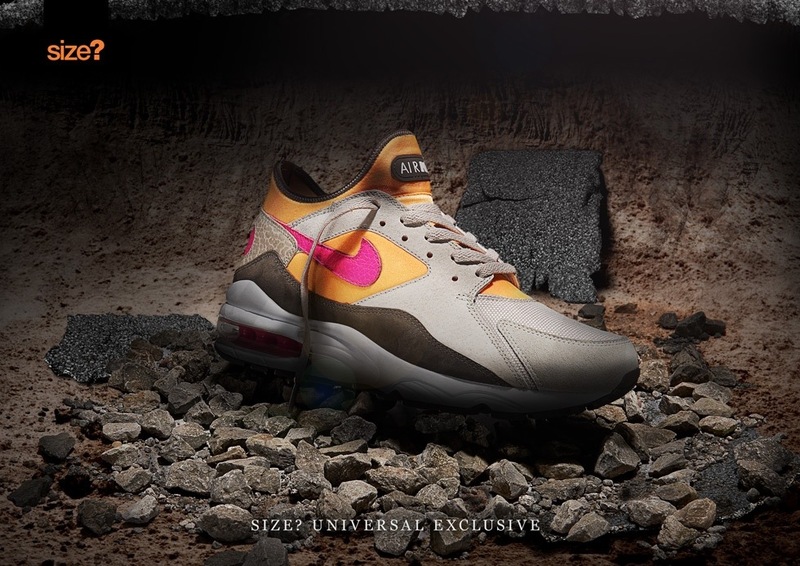 Both colorways of the Nike Air Max 93 retro will release on Saturday, September 28, exclusively at size? 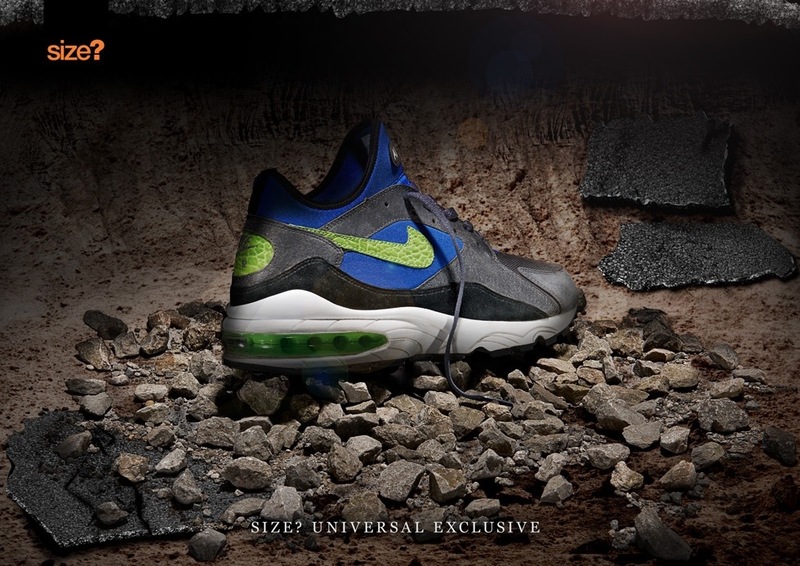 locations and online via direct links from the size? Facebook and Twitter pages.